Guess Who Hated "Combat Evolved"? 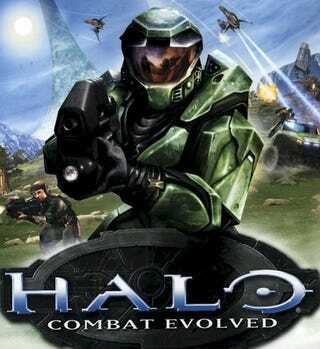 The title of the original Halo game is "Halo: Combat Evolved". That's not the title that the game's developer wanted. Bungie wanted the game to be simply called "Halo". Microsoft, who published the game, pushed the "Combat Evolved" subtitle onto the game. "Oh, man... the subtitle," Halo designer Jaime Griesemer told Edge Magazine. "At the time, Microsoft marketing thought Halo was not a good name for a video game brand. It wasn't descriptive like all the military games we were competing with." "The compromise was they could add a subtitle. Everyone at Bungie hated it. But it turned out to be a very sticky label and has now entered the gaming lexicon to the point where articles that have nothing to do with Halo get titles like 'Skateboarding Evolved'. So I guess in hindsight it was a good compromise." It was a compromise evolved. Released in 2001, the first Halo game would go on to sell over 5 million copies.